With amazing customer service, FlashFixers is the best company to recover data from your Samsung Galaxy Note 4. Have You Lost Data On Your Samsung Galaxy Note 4? Get It Back Now With Chip-Off Forensics. Did you lose photos or other data on your Samsung Galaxy Note 4 that you must get back? Is your Samsung Galaxy Note 4 broken, damaged, or has it stopped working altogether? If so, then chip-off forensics could be the key to helping you save your data. Chip-off forensics is a specialized data recovery technique that is used by data recovery experts to extract data directly from a phone’s memory chip. It is a very technical and highly specialized process that can reliably retrieve data from any Samsung Galaxy Note 4 phone regardless of its condition. And best of all, chip-off forensics is always successful if done correctly! Your Samsung Galaxy Note 4 phone could be broken, water damaged, in pieces, or have a broken screen. But if the small memory chip is undamaged, your data can be saved with chip-off forensics. Chip-off forensics is the most reliable and affordable way to recover data from a Samsung Galaxy Note 4 phone. It can also be used to recover data from any Android phone running Android operating system 5.0 or earlier. There are only a handful of companies in the world that perform mobile device chip-off forensics, and FlashFixers is one of them. FlashFixers has spent more than a decade refining its mobile device chip-off process. We guarantee that we can do it better, faster, and at a lower cost than anyone else. For the most affordable, reliable way to recover data from your non-working Samsung Galaxy Note 4, call FlashFixers now. Don’t Risk Overpaying For Data Recovery On Your Samsung Galaxy Note 4! Call FlashFixers. We charge roughly one-third the price that other data recovery companies charge. We have no evaluation fee for Samsung Galaxy Note 4 phones, and you only pay for a successful data recovery! There is no risk to you. We are confident that we can retrieve all of the lost data from your Samsung Galaxy Note 4 using chip-off mobile device forensics, which is the most reliable and affordable way to recover data from legacy Android devices. No, it’s not too good to be true. We have mastered the chip-off process for Android phones because we have performed hundreds of chip-off phone recoveries and have spent more than 10 years perfecting our process. We have developed a high throughput way to process chip-off phone recoveries while keeping costs low for our customers. We also believe that data recovery should be affordable, and as part of our commitment to providing outstanding customer service, we promise to never overcharge our customers. 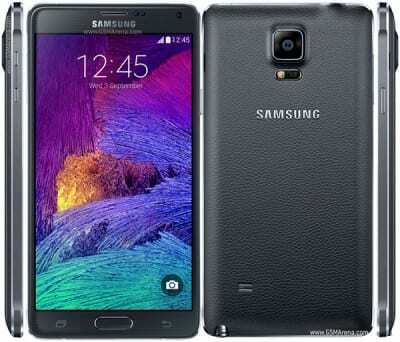 How Much Does Samsung Galaxy Note 4 Data Recovery Cost? Data Recovery for photos and videos from any Samsung Galaxy Note 4 costs $299. Because of our affordable and reliably successful mobile phone chip-off data recovery service, you can confidently choose FlashFixers as the best company to recover lost data from your Samsung Galaxy Note 4.